The newest professional 11-man Spring football league starts this Saturday; the Alliance of American Football, otherwise known as AAF. The AAF will have eight teams and play a 10-week schedule. The basis of the league is NFL-style play and the NFL rule book, with some modifications. Local football official Chris Snead will be in the group of inaugural officials for the new league. Snead, who officiates local high school football games and Southeastern Conference football games, will be a center judge in AAF games. Snead is also a center judge in SEC games. 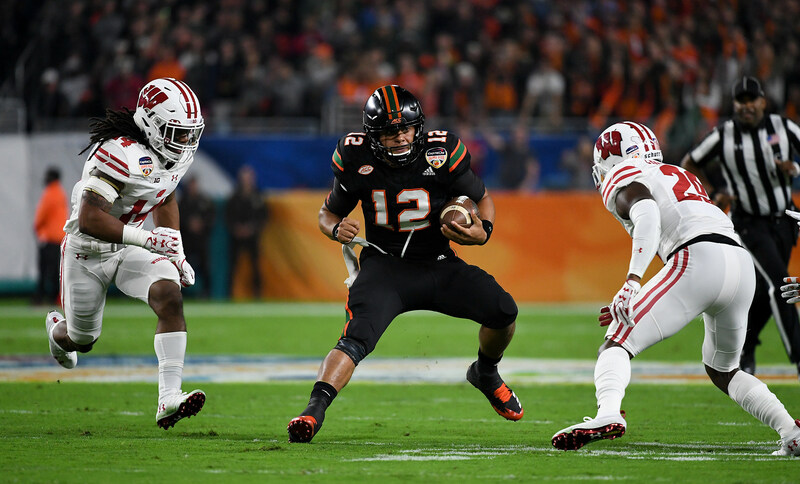 In the photo above, you can see Snead working as a center judge in the 2017 Orange Bowl. The center judge was added to NCAA football officiating crews about five years ago. The center judge is responsible for placing the football and lines up in the offensive backfield opposite of the referee. It is assumed that the center judge duties will be similar in AAF games. The AFF will have some notable rule changes compared to the NFL. They include: no extra-point kicks after touchdowns, no field goal attempts allowed in overtime, no kickoffs and no onside kicks, teams may try to retain possession after giving up a safety by trying to convert a 4th & 12 from their own 28 yard-line. Other rule changes include a 35-second play clock and rules for illegal defense, which can penalize the defense 15 years. The AFF starts play on Saturday, February 9, 2018 with two games: Atlanta @ Orlando and San Diego at San Antonio. Both games will receive national coverage on CBS with a 7pm Central Time kickoff. Then, on Sunday, February 10, the other two AAF games for Week 1 will be Memphis @ Birmingham and Salt Lake at Arizona.